Witnessing how the mighty sun says hello to Earth and how it bids goodbye is one of the most wonderful experiences that you can ever have. Well, this is one of the prime reasons why people often visit Otranto, Italy. Otranto is one of the most beautiful and renowned cities in Italy. It is located in a majestic coastal where you can spend the most wonderful vacation you have always wanted. You can visit splendid churches every morning and experience the cool and clean incredible sea in the afternoon. No city in the globe could ever match the beauty and uniqueness of the views and structures that Otranto has to offer. Now, you may wonder what the travelers see in the city that made each of them want to witness its beauty. Here are some of the reasons why people have come to love Otranto, Italy. This cathedral was built around 1163-1165. It has surpassed the Turkish invasion. However, some of its parts were ruined. It has a chapel in it where the remains of the 800 martyrs are stored. These martyrs are the people who have defied to be converted into Islam during the invasion. Thus, the Cathedral is one of the principal attractions in the town for it has one of the largest mosaics which are used to cover the whole floor. Its theme is the Tree of Life which is supported by elephants located in its bottom and used to symbolize purity. This castle was reinforced by Emperor Frederick II and was restored by Alphonso II of Naples at around 1485-1498. It has magnificent structures and wonderful designs which travelers from around the world admire the most. It is a must-see building that you will surely love especially if you are one of those who treasure history. This is located near the famous cathedral of Otranto, Italy. It is a small museum, but it houses exceptional local exhibits like the pieces of mosaics which were made in the early fourth and fifth century. This was regarded as the first principal church of Otranto. It is a small building, but it houses wonderful Byzantine frescoes. It is also considered as one of the prime tourist spots in the town for it speaks of the wonders of history in Otranto. Even just its little size, the building shows the majestic works of architecture. This is one of the spots where travelers, often lovers, love to take a walk and witness the beauty that the sea offers. This is a park which serves as an entry way to the old town of Otranto. Here, you can have a glance of the modern side of the city without experiencing the touch of history. These are only some of the most wonderful spots Otranto, Italy has. You can experience and witness its full beauty if you travel to the city and explore its splendid history. With the historical sites, wonderful resorts and beaches, breath-taking panoramas, thrilling activities and peaceful scenery, you will definitely have the most wonderful vacation everyone is yearning for. You would never really want to miss this place. 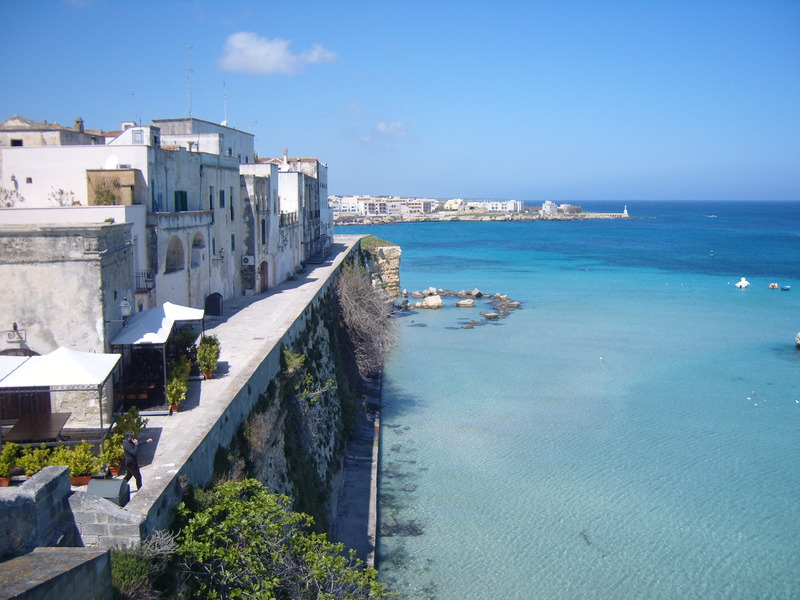 Come and witness the beauty of Otranto, Italy that has charmed many travelers.